This was a random sample, and only in one did I find any mention of beer style! Now then , is this a good or bad thing? There have been well documented examples of offensive beer names, even in the House of Commons bar, and un- pronounceable Welsh beers (well…to us English). I am not making a point of beer quality in my examples which I’m sure was sound. Now of course there are examples of plain naming, but I suppose you can argue that a plain name equals a boring un- inventive beer. Is that so? What’s wrong with a straight forward Casewell’s Bitter? Does beer have to have hops from Patagonia, yeast from Ursa Minor, and Barley (organic of course) from the dark side of the moon for it to be interesting? I merely raise the question and raise a glass of Stoneyford’s ‘ Sheepmarket Supernova’ to you all…and very good it is too. Send your response to our Chair! Dave Casewell, he does smile now and then – this is his Wanted poster look. 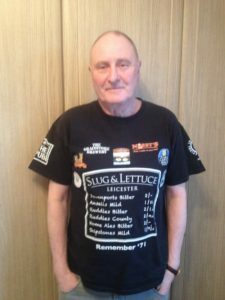 PS Leicester Beer Festival is on 7th to 10th March for more info see our Events page. 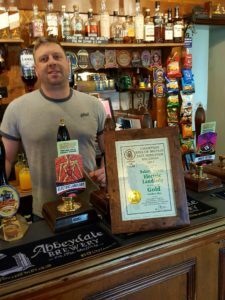 The Grainstore Brewery in Oakham and Baker’s Dozen in Ketton have had their hard work recognised for producing excellent real ales at recent Campaign for Real Ale (CAMRA) festivals. CAMRA has around 200,000 members in the United Kingdom and has been protecting real ale and cider in real pubs for over 40 years. The Grainstore was awarded Bronze in the Barley Wine Strong Old Ale Category in the Champion Beer of Britain East Midlands region finals. The pump clip shows a more than striking resemblance of Grainstore’s founder Tony Davis. Grainstore is increasing its market share across the country. 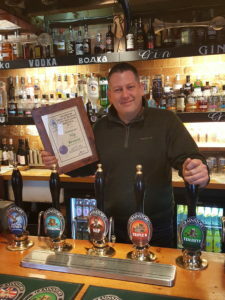 William Davis, Owner/Director Grainstore Brewery, accepts his Bronze award for The Nip at the Grainstore Brewery in Oakham. Picture shows The “Old Bird” and her flock in Derby . Somethings never really change! I courted the “Old Bird” many years ago, when she was a young bird – slim, blonde and very attractive. We would go out to a local hostelry, often by car but sometimes on foot. When driving, I would ask for a pint and a half of beer. The bar person would always put the pint in front of me and the half in front of the young bird. This was followed by a hand moving across in front of me and picking up the pint (so justifying her comment in her first article in the “Tiny Pint” – “Girls like pints as well”.) As a result of this, I was left with the half! This was probably a good thing, even though it was before the Drink/Drive laws. Over time, the situation has not changed, though sometimes she would have the half and drive and I had the pint. (Occasionally the world smiled on me.) On foot, I used to ask for 2 pints – 1 each! She has a very good palate such that I ask her what she thinks of a beer’s condition if I feel that something is not right (including me – sometimes a beer doesn’t taste “right” but it is my taste buds that are wrong.) However, it used to make me so proud, and still does, when I see her with a pint! Nick Holford The “Old Bird’s Beau” – her posh name for a miserable old b****r like me! Starring Jon Whowell, Dave Laughton, Russ Hibbitt & Jon Watson. 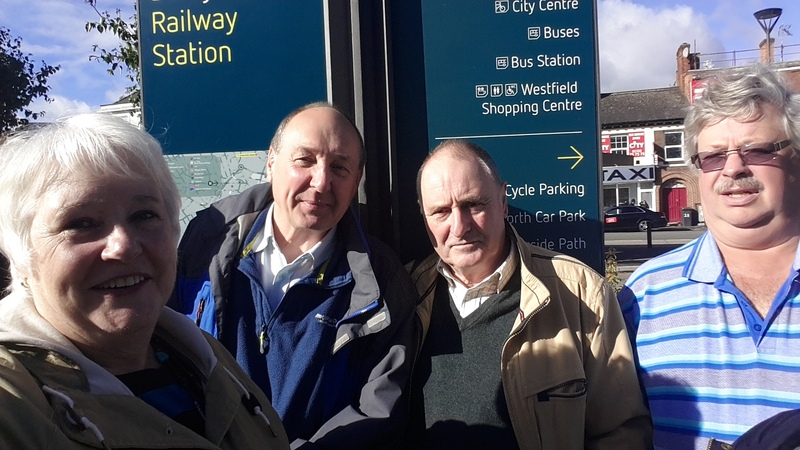 The four intrepid adventurers passed our County border, at 11.00am on Saturday 17th February, bound for the Lincoln and Newark areas on a mission to return empty casks and collect or swap ales for the Empingham CSC Beer Festival. First stop was the delightful Dambusters Inn in Scampton. The pub is full of memorabilia from the Dambusters Squadron formerly based at RAF Scampton and also from the Red Arrows, current residents of the base. Here, we sampled Scampton Ale and Dambusters Ale brewed behind the pub by Landlord, Greg Algar, in the center of the above picture clutching his Tiny Pint. 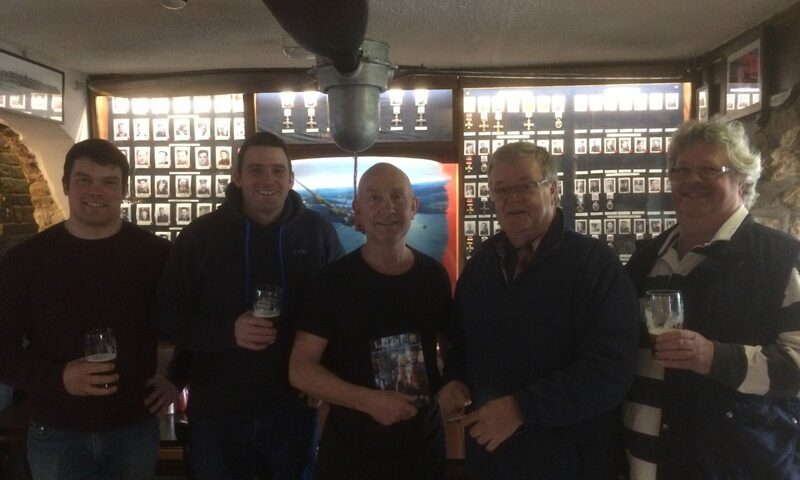 Greg is passionate about both the memorabilia and his ale and provided enlightening information about photos, medals and ensigns that adorn the walls. We swapped a cask for a cask of Scampton Ale. How will I get my empty back? enquired Greg. Don’t worry Greg, we will be back!! Onto Lincoln’s Jolly Brewer to swap ales from Horncastle (Wicked Blonde) and Ferry Ales (Wodewose and Spirit of Jane). Ales sampled here were Great Newsome Stoggy, Welbeck Abbey Henrietta and 3 Piers Golden Smiler, all were in good order. Next stop was to be Beermats Brewery near Southwell. However, they delivered to Empingham on the previous Thursday, so a visit to Just Beer micropub in Newark town centre was hastily substituted into the itinerary. A gem of a place supplying us with Hill Top Golden and North Riding US IPA. Deciding against a second pint here or a walk across the road to the Flying Circus due to time constraints, we moved on to our final venue outside of Rutland, the Cross Keys at Upton. Landlord and brewer at Mallard Brewery, Steve Hussey, was delayed by an unexpected afternoon nap. So, whilst waiting, the 3 adventurers tried his Mallard Golden Duck and our Pubs Officer chose Mallard Drake. Again all beers in fine fettle! Empties returned and with a new Golden Duck and Nottingham EPA on board, we pointed the vehicle South on the A1 and after an hour pulled up outside the Green Dragon at Ryhall for our last tipple of the trip. A lovely day out and a great adventure. 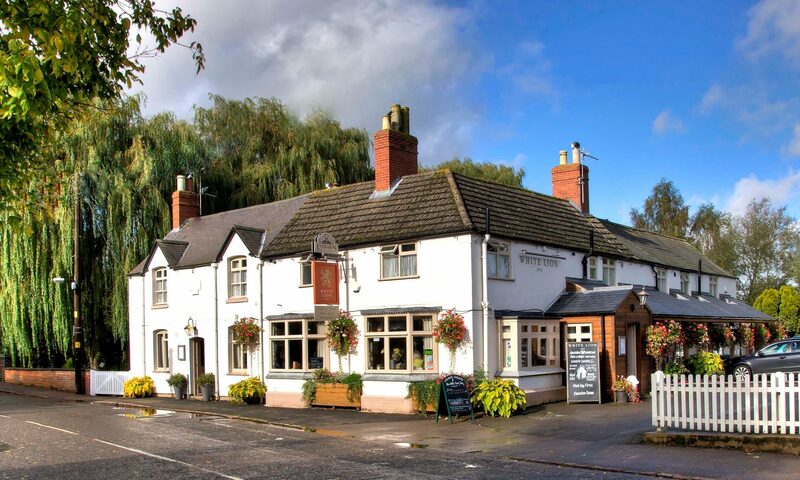 All the venues are worth a visit but if you choose just one, please make it the Dambusters Inn. You will not be disappointed! 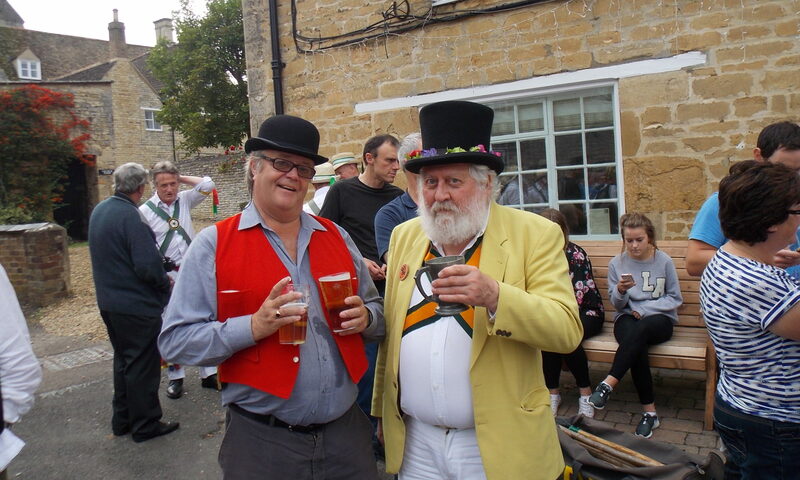 A man of Real ale, cider and Morris Dancing – a legend passes on. John’s tipple of choice was real cider and he extolled its virtues at the drop of his Morris Dancers top hat. John was a member of the Rutland Morris Band where with his striking white hair and beard was easily recognisable. Rutland CAMRA will name its cider bar, Woodsters, in tribute to John at their festival in Oakham 28th Jun to 1st July where many a tankard will be raised. It is hoped Oakham Ales will produce a special in his name. 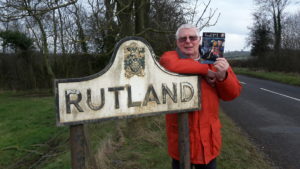 He will be very missed by so many people in Rutland and across the UK.